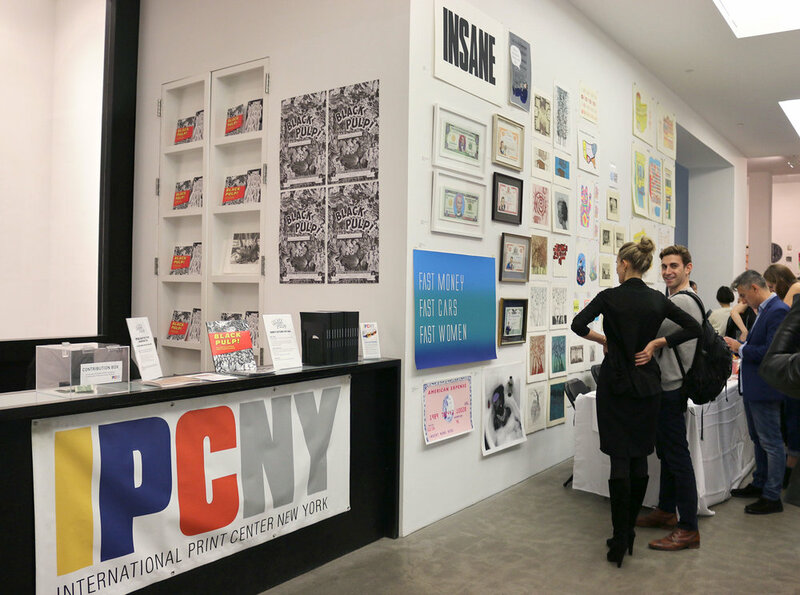 PRINTFEST is a three-day fair hosted by IPCNY for MFA and senior BFA students to exhibit, sell, and trade their prints during New York’s annual Print Week. 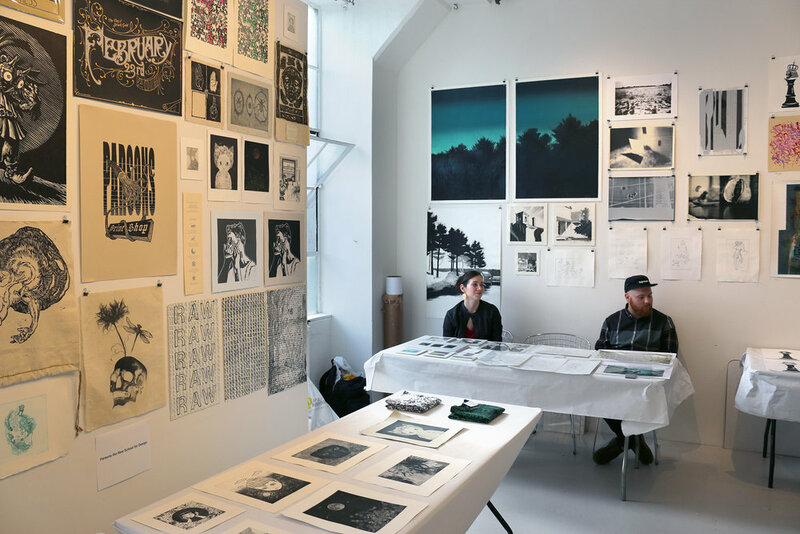 PRINTFEST provides these emerging artists with a professional setting in which to show their work to a broad audience of collectors, publishers, artists, and curators visiting Chelsea galleries and the nearby IFPDA and Editions/Artists’ Book fairs. 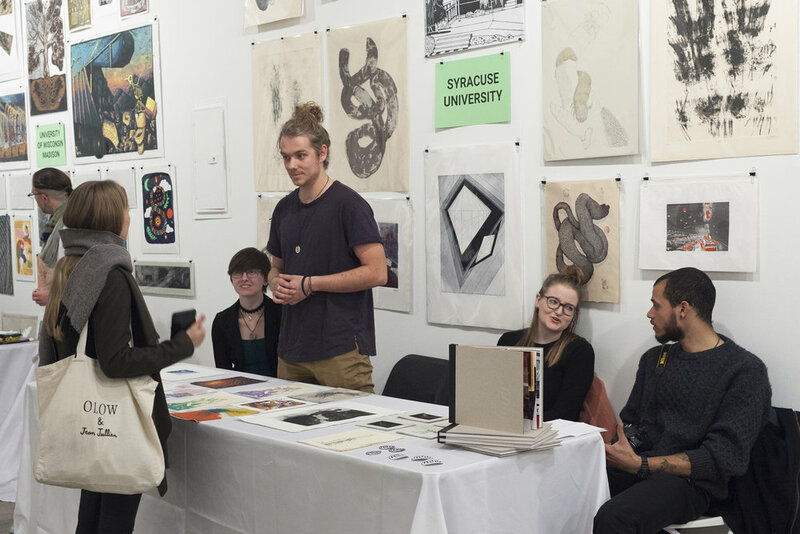 The universities' booths were complemented by workshops and demos, as well as a panel discussion with artists and art professionals about career paths to pursue after art school. 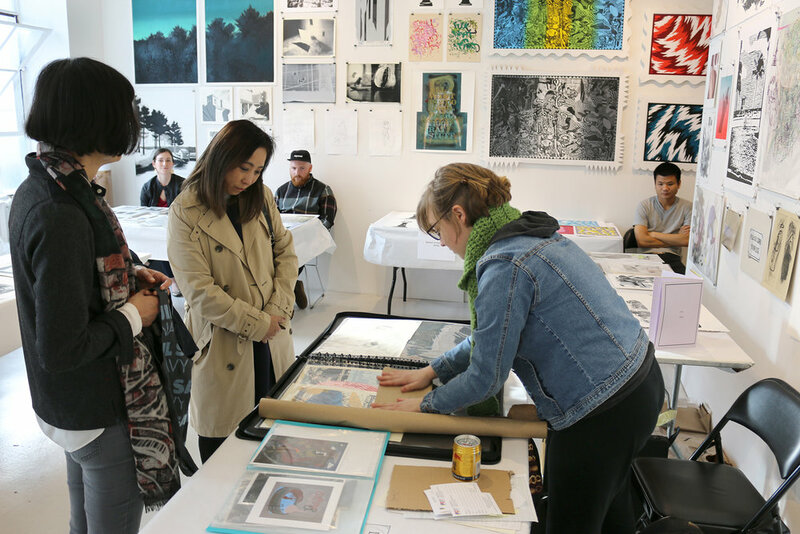 PRINTFEST 2018 was held in memory of IPCNY founding trustee and educator Leonard Lehrer. City College of New York, Columbia University, Cornell University, Cranbrook Academy of Art, Fashion Institute of Technology, Hunter College, Maryland Institute College of Art, New York Academy of Art, New York School of the Arts, The New School Parsons School of Design, New York University, Pratt Institute, Purchase College, Rhode Island School of Design, Rutgers University, School of Visual Arts, SMFA at Tufts, SUNY New Paltz, Syracuse University, the University of the Arts, University of Tennessee Knoxville, and University of Wisconsin Madison. For more information, contact Megan Duffy, Education and Public Programs Coordinator, at megan@ipcny.org. 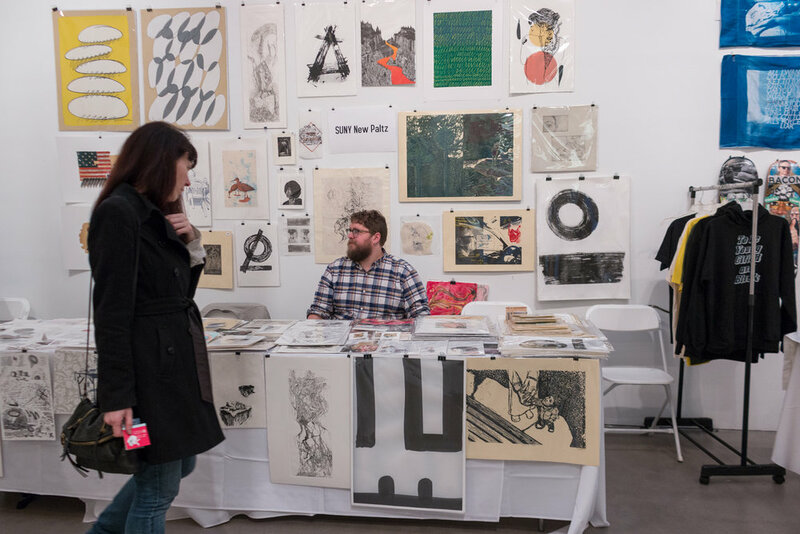 Throughout the fair, join PRINTFEST sponsors Akua Inks and Speedball Art for free samples, an opportunity to participate in a collaborative monotype animation project, and a demonstration by renowned printmakers Bill Fick and Carlos Hernandez that will bring to life a collaborative relief and silkscreen print. Akua Inks will be on the 5th floor and Speedball will be on the 3rd floor. 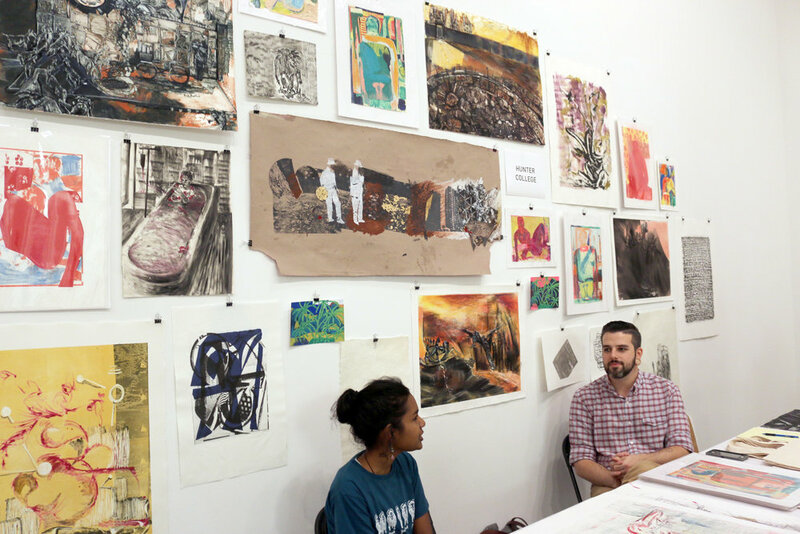 Saturday, October 27, 11 am – 12 pm Art Works: a panel featuring working artists discussing their backgrounds and how they got started in their art world careers. Panelists will be Lisa Conrad, artist, art educator, and founding executive director of the Newark Print Shop, Newark, NJ; Sarah Bielicky Browne, director at Jim Kempner Fine Art; Mark Thomas Gibson, artist, assistant professor at Tyler School of Art at Temple University, and co-curator of IPCNY’s Black Pulp! 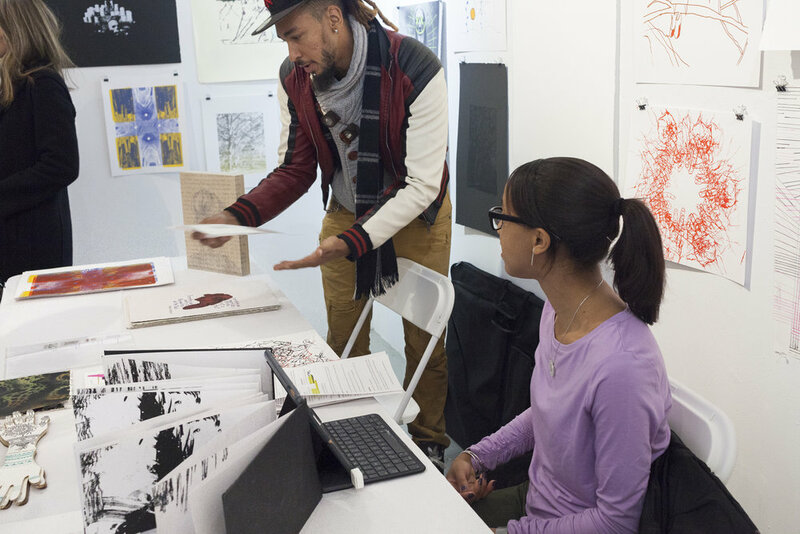 (2016); and Estelle Maisonett, artist and 2018 Artist in Marketplace Fellow at the Bronx Museum. Art Works will take place on the 12th floor. 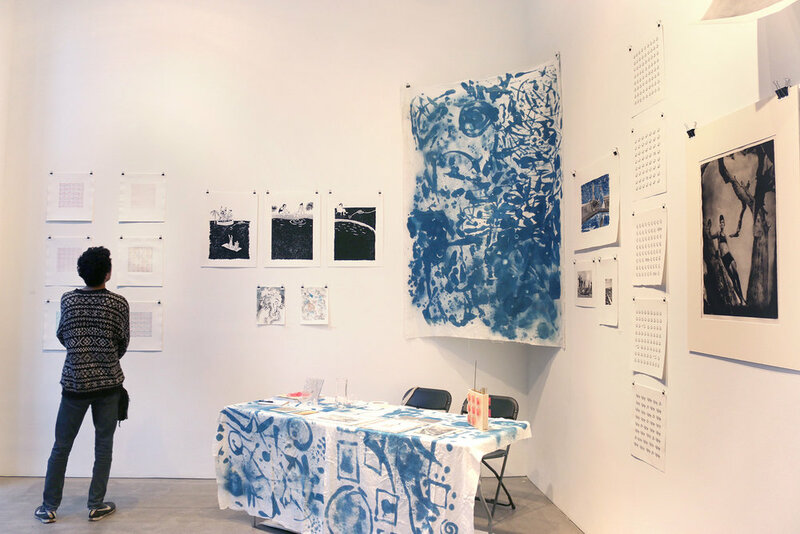 Saturday, October 27, 1pm – 4pm acTEEvism: T-shirt screen printing workshop with political designs by artists including Edge of Visibility exhibiting artist Megan Foster. acTEEvism will take place on the 3rd floor. PRINTFEST 2018 is dedicated to the memory of Leonard Lehrer, renowned artist, educator, and longtime friend and supporter of IPCNY. Lehrer joined the IPCNY family in 1995 as a founding trustee and continued to offer his unwavering support to the medium and our mission until his passing in 2018. 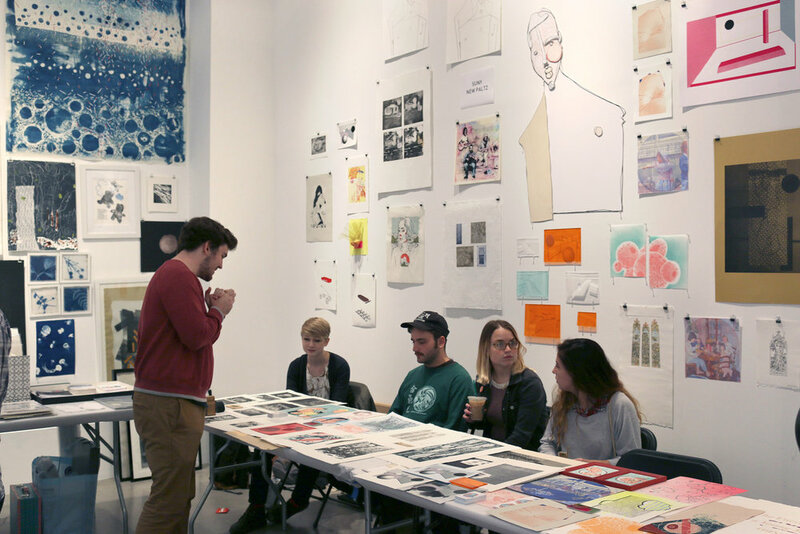 As a part of the founding board, Lehrer worked closely with founder Anne Coffin to develop IPCNY’s exhibition programming, establish our internship program, and launch the New Prints Touring Program with longstanding partnerships at Columbia College Chicago and the University of Texas at Austin. In addition to his involvement with IPCNY, Lehrer held many teaching positions throughout his career, serving as Founding Director of the School of Art at Arizona State University and Department Chair of the University of New Mexico and the University of Texas at San Antonio. Lehrer was honored with forty-eight solo exhibitions in his lifetime and his work is included in over one hundred public collections nationally and internationally including the Metropolitan Museum of Art and the Museum of Modern Art. In all of his administrative and educational roles, Lehrer made it a priority to further the exposure, access, and appreciation of printmaking. We honor him with this dedication because of his love and loyalty to IPCNY, printmaking, and education. PRINTFEST is supported in part by public funds from the New York City Department of Cultural Affairs in Partnership with the City Council, the New York State Council on the Arts with the support of Governor Andrew Cuomo & the New York State Legislature, as well as Speedball Art, Akua Inks, Arnhem 1618, the Areté Foundation, the Greenwich Collection, Ltd., and the IFPDA Foundation. City College of New York, Columbia University, Fashion Institute of Technology, Hunter College, New York Academy of Art, New York School of the Arts, New York University, Pratt Institute, Queens College, Rhode Island School of Design, Rutgers University, School of Visual Arts, SUNY New Paltz, SUNY Purchase College, University of Arts Philadelphia, Parsons School of Design. Opening reception, Japanese decorative papermaking demo at Akua Inks table. New techniques for carborundum gel demo at Akua Inks table. Monotype demonstration with pin press at Akua Inks table. City College of New York, Columbia University, LeRoy Neiman Center for Print Studies, College of New Rochelle, Fashion Institute of Technology, Hunter College, National Academy School The New School Parsons School of Design, New York Academy of Art, New York University, Pratt Institute, Rhode Island School of Design, Rutgers, School of Visual Arts, SUNY New Paltz, SUNY Purchase College. City College of New York, Columbia University, Fashion Institute of Technology (FIT), Hunter College, New York Academy of Art, New York University (NYU), Parsons the New School for Design, Pratt Institute, Rutgers University, School of Visual Arts (SVA), & SUNY Purchase College. 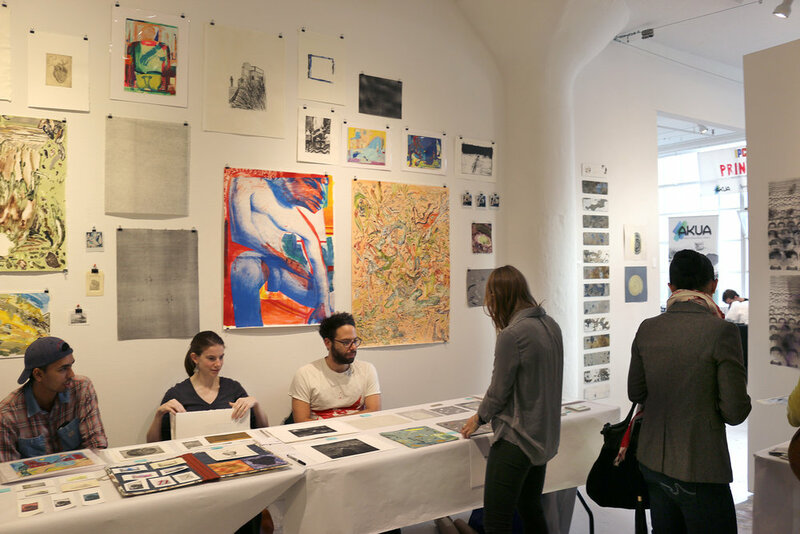 PRINTFEST is generously sponsored by the NYC Department of Cultural Affairs, Speedball Art, Arnhem 1618 Paper, Akua Inks, and the IFPDA Foundation.